HelloCanvas specialises in creating high quality canvas reproductions of your treasured photos. Through our choice of modern printing techniques – coupled with a huge range of vibrant colours – we are able to deliver superb razor-sharp definition with each and every canvas we print. 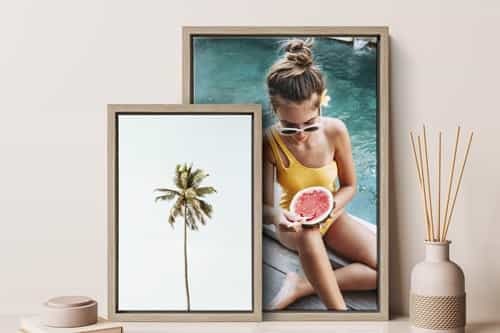 Our expertly crafted canvas frames are constructed using wood from sustainable sources. We provide robust solid wood frames up to 3cm thick. All of the materials and inks used in our products are environmentally friendly. We deliver your canvas to your door within five working days after ordering. 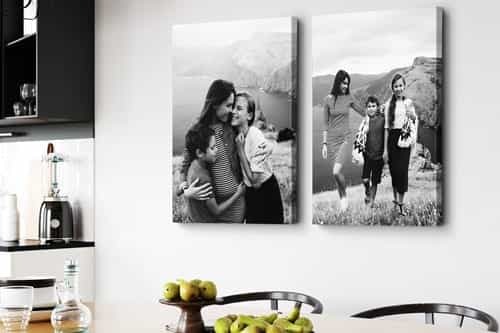 We have sold over 4 million canvases to more than three million satisfied customers. We are thrilled with the materials we are currently using. The canvas material suits our high standards perfectly. The canvas has a brilliant colour reproduction and the colour depth is incredible! 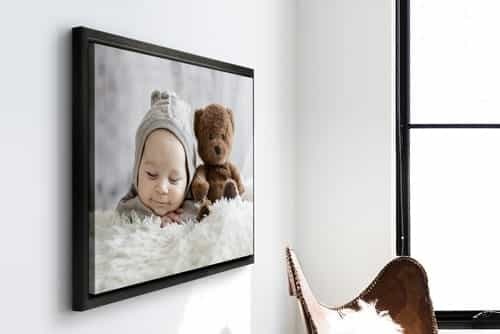 Your photo on canvas is also water repellent and scratch resistant, so you can carefully dust it off with a damp cloth. 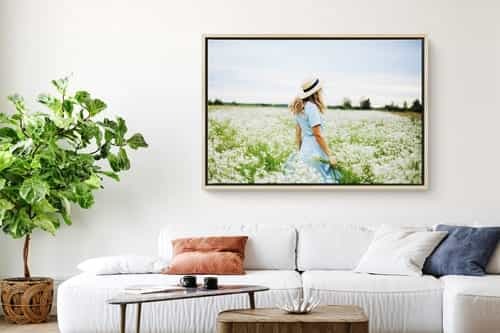 We want to ensure that you can enjoy your canvas wall art for many years to come! We offer very extended guarantees. First of all, we offer a full money back guarantee. Now you might think: I hear that more often, but what does this actually mean? Our not-good-money-back guarantee means that as soon as anything is wrong with the product, we will reproduce the product for you or refund the purchase price immediately! In addition, we also give a 10-year guarantee on our products and on top of that another 75 years of color guarantee! 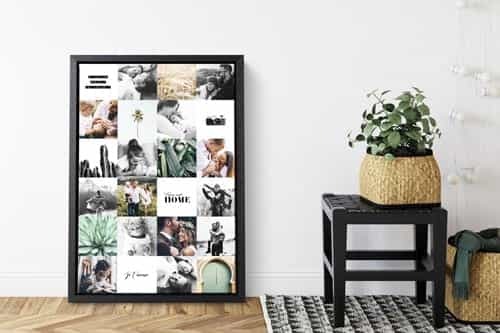 Ultimately, our goal is that you are super satisfied and happy with your HelloCanvas product and that it hangs on your wall perfectly for decades to come. We print your canvas with the latest printing techniques in our ultramodern printing facilities. Because of our obsession for quality and our passion for printing canvases, we only use the best printing techniques available. Thanks to our 8-colour printers, all canvases are printed razor sharp with vibrant colours. Wondering how your photo on canvas is begin processed and stretched after this? Click here. 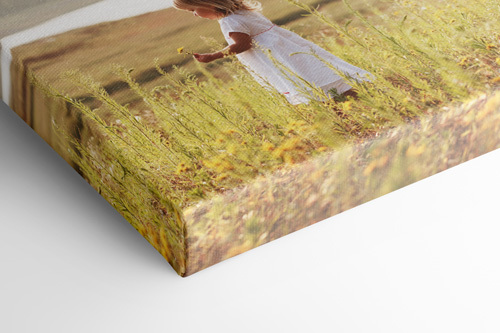 We aim to make the order process for canvas prints as easy as possible. With our advanced cropping tool, you can easily select the desired cropping for your picture. If you cannot manage to crop your photo, we have several options available for your photo to be fully displayed on the front of the print. Having any difficulties? No worries, you can always contact us and we will help you with great pleasure to find a suitable solution. Until everything is perfect! 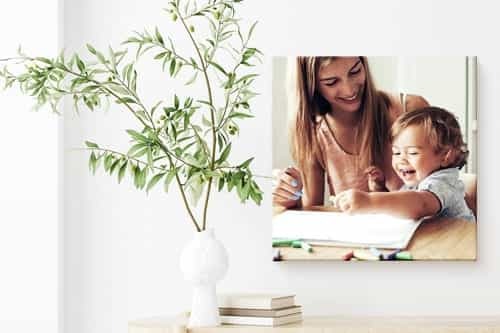 Why should you order a photo on canvas at HelloCanvas.com?